Four New Releases, Four New Sales, and a New Free Serialized Novel! Good things come to those who wait, and due to the lack of a newsletter last week, we have no less than four awesome new releases to announce this week, each accompanied by a nice, hot extended preview, as per the usual. Four new sale items are also ready and waiting for you. Last but not least, the first two chapters of Taught to Kneel by Natasha Knight, our free serialized book for this month, are now available. Nineteen-year-old Princess Madeline is not about to let anyone dictate who she can and cannot marry. She will settle for nothing less than a king, and her sister’s upcoming marriage to a prince is merely tedious—much like everything that goes on at court. 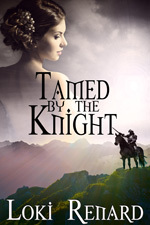 Madeline is used to getting her way, so when Sir Gregory—a mere knight—finds her making mischief and spanks her long and hard for her behavior, she is angrier than she’s ever been. To her absolute horror, after her encounter with Sir Gregory rumors begin to spread through the court that her virtue may have been compromised. Fearing a scandal and wanting Madeline off his hands, the king commands her to take the brave knight’s hand in marriage. But knights don’t inherit kingdoms, and Madeline intends to be a queen. In an attempt to prevent the ruin of her plans, she flees the castle. Yet after Sir Gregory tracks her down and brings her home with a sore, well-spanked bottom, his firm-handed dominance proves to the feisty princess that, regardless of his station, his bearing is that of a king. She soon finds herself falling in love with her new husband, even though it means putting aside her dreams of a crown. But when an old and bitter foe attacks their homeland, both Madeline and Sir Gregory will need all their wits and all their courage to save their people. After a notorious outlaw guns down her father, eighteen-year-old Maggie Curtin is dead set on revenge. The only thing standing in her way is Travis Quill, a bounty hunter who is determined to find the outlaw for himself and even more determined to see that Maggie doesn’t get involved. But Maggie is a sure shot with her rifle, and despite Travis’ warnings—and the bare-bottom belt whipping he gives her when she defies him—she sets out to track down her father’s killer. Deciding at last that the headstrong girl is not going to give up, Travis finally agrees to bring her along, though he’s more than ready to tan her bare backside if she doesn’t obey him on the journey. 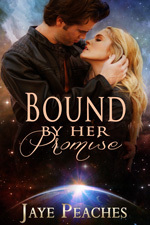 As they travel the west together in search of their man, Travis soon finds that he delights in showing Maggie the world outside her small town. Try as he might to resist her, it isn’t long before he is also showing the blushing girl all the ways a man can please a woman. 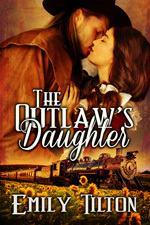 But with the outlaw still on the loose, their newfound romance will have to take a back seat until he is caught. Travis knows it’s high time for Maggie to start trusting his decisions, but will she finally learn to do as she’s told before she gets them both killed? Three days later, Madeline put her plan into action. She had let the matter rest long enough for Sir Gregory to grow complacent. He might have suspected some kind of retribution in the hours following her thrashing, but days later he probably would have forgotten ever laying a hand on her. Lysa’s hands remained glued to the surface of the table and she sat rigid, mouth ajar and eyes narrowing. She didn’t want to do this, as it went against everything she believed in. After all her tears, which had since dried upon her cheeks, she couldn’t dissuade him from carrying out his punishment. Chula Stone's latest western, Lacey and the Sheriff, reached Amazon's Western Romance Top 100 last week! Congratulations Chula! 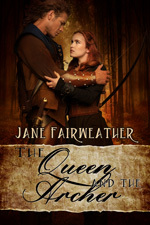 The Queen and the Archer, by Jane Fairweather, hit Amazon's Top 100 List for Historical Romance last week! Congratulations Jane!